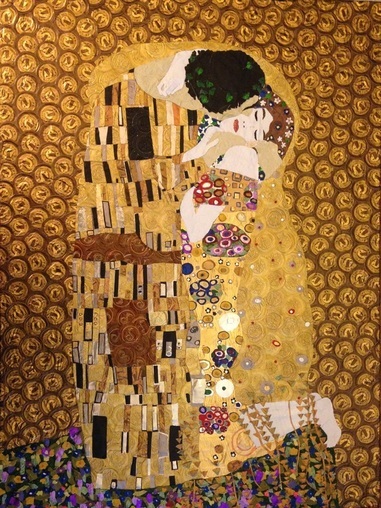 Gustav Klimt (July 14, 1862 – February 6, 1918) was an Austrian symbolist painter and one of the most prominent members of the Vienna Secession movement. 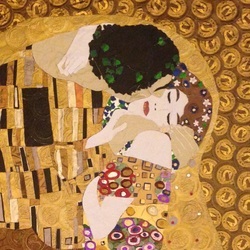 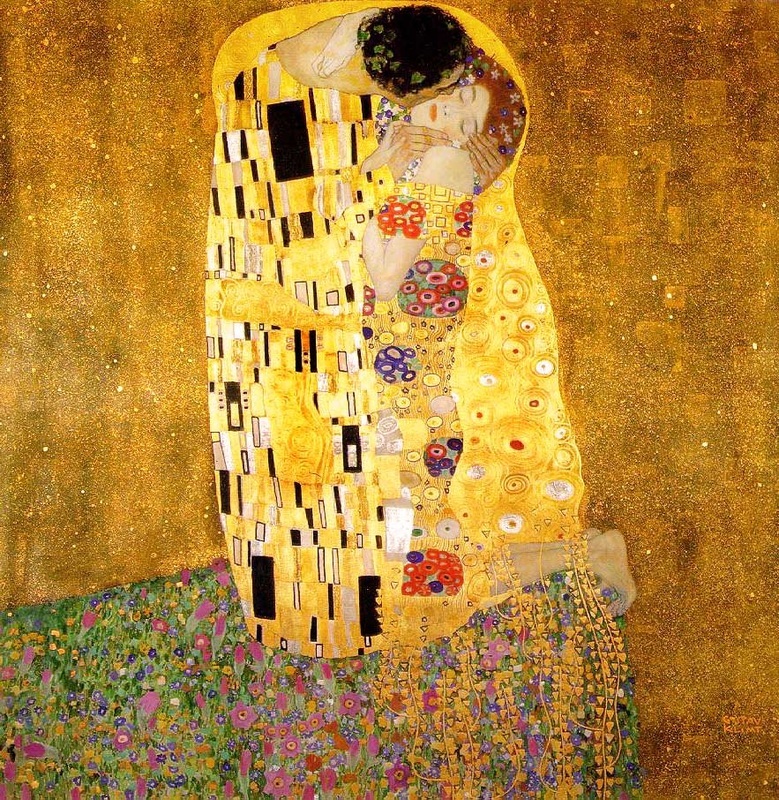 Klimt is noted for his paintings, murals, sketches, and other objets d'art. Klimt's primary subject was the female body,and his works are marked by a frank eroticism. 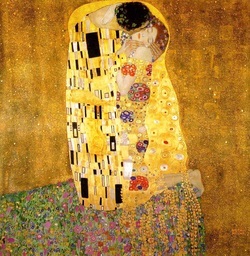 "The Kiss" (1907–08) is his most widely known piece. 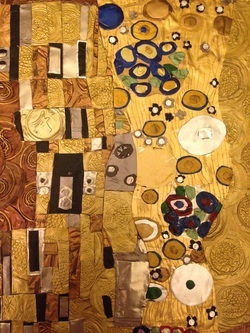 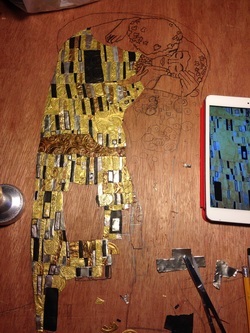 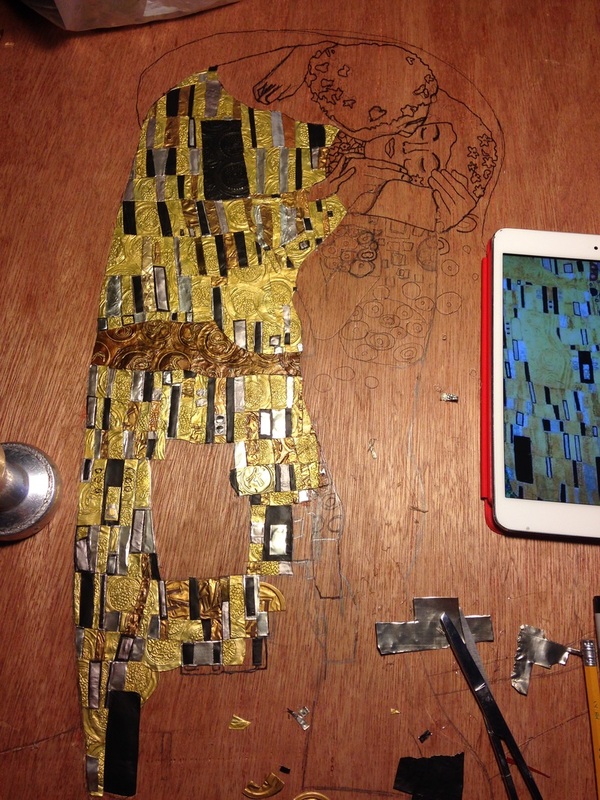 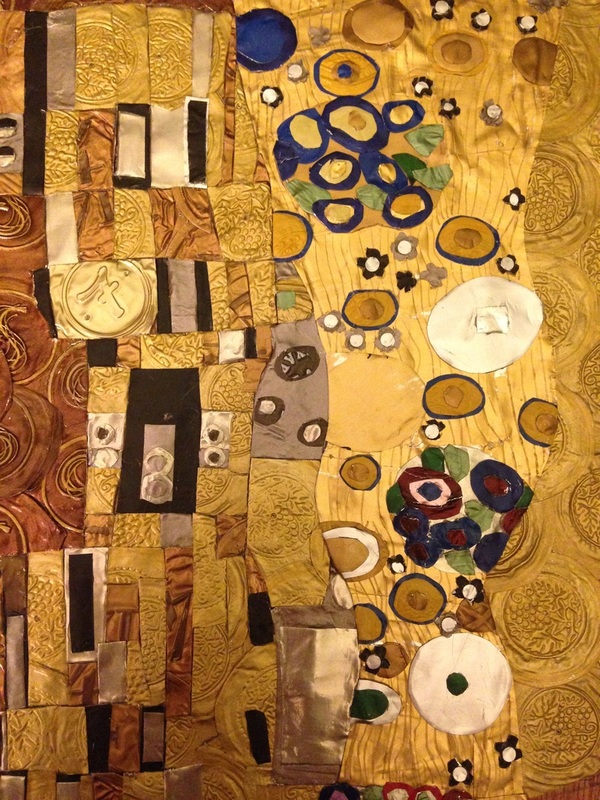 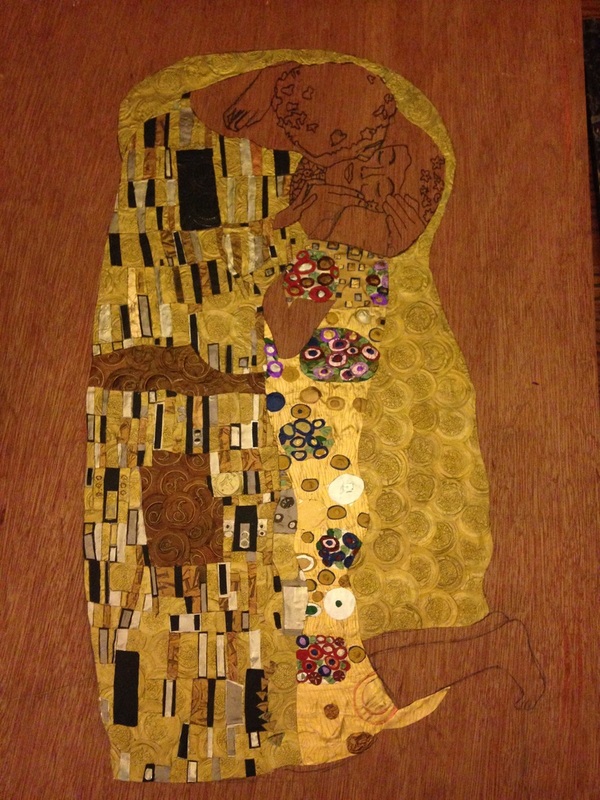 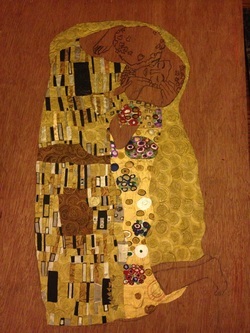 As a recent commission, I recreated this famous work using only recycled wine foils as materials.